Which Affordable Mexican Beach Town This Time? As winter travelers, each year we look for a new and interesting location to visit and explore. 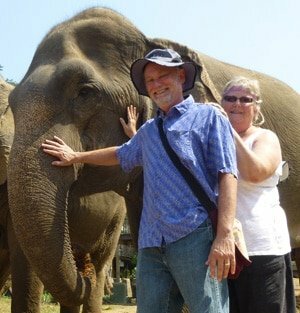 We like a long stay, where we can live like locals while still enjoying some holiday experiences, all on our meager budget! Of course, our dreams feature the warm sands and sparkling waters of an unspoiled beach, fresh seafood and ice cold coconut water. NOTE—At the time we wrote this post, the Mexican Peso was worth about 5 Cents US (ie. 100 Pesos= $5). After much “Googling” and wandering in our imaginations, we found our interest piqued by the Mexican Riviera Nayarit on the Pacific Ocean. We had spent the previous winter in Playa del Carmen, on the caribbean coast of Mexico, and although we found a lot to enjoy, we pictured ourselves soaking up the culture of a town with a more authentic, and quaint, fishing village feel. 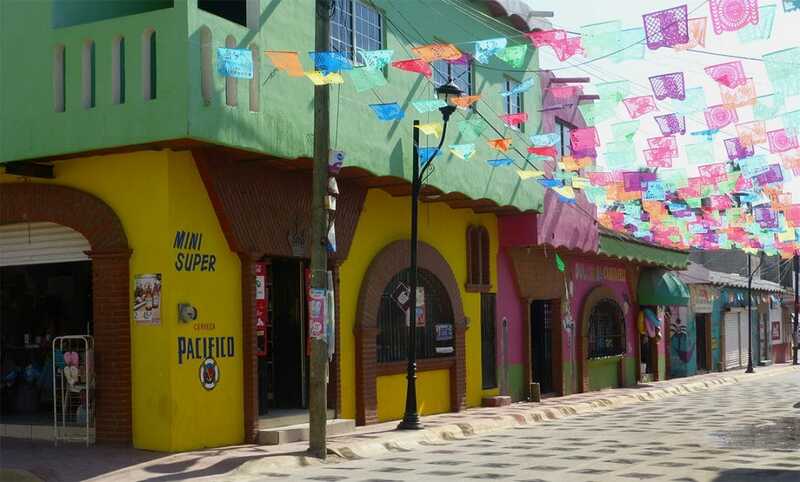 While visiting Playa del Carmen, we had explored towns nearby on the coast of the Riviera Maya and liked some of the smaller locations we found. Puerto Morelos, in particular, met many of our needs, but we did not find accommodations there within our budget of about US$650 per month. So, for our second winter in Mexico, we decided to research towns on the opposite coast. 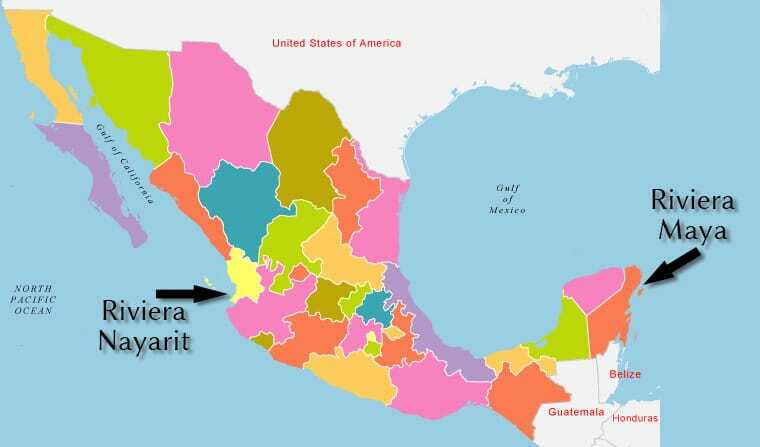 The Riviera Nayarit includes the cities of Sayulita, Lo de Marcos, Chacala, and many smaller towns. We finally settled on La Peñita, as it is referred to locally, as it looked to have everything that we were seeking. We found a lovely Canadian couple who rented us an airbnb apartment for the season. Nightly rates in this area are still a bit too high for our monthly budget, but by renting for the entire season, we were able to negotiate a great deal. 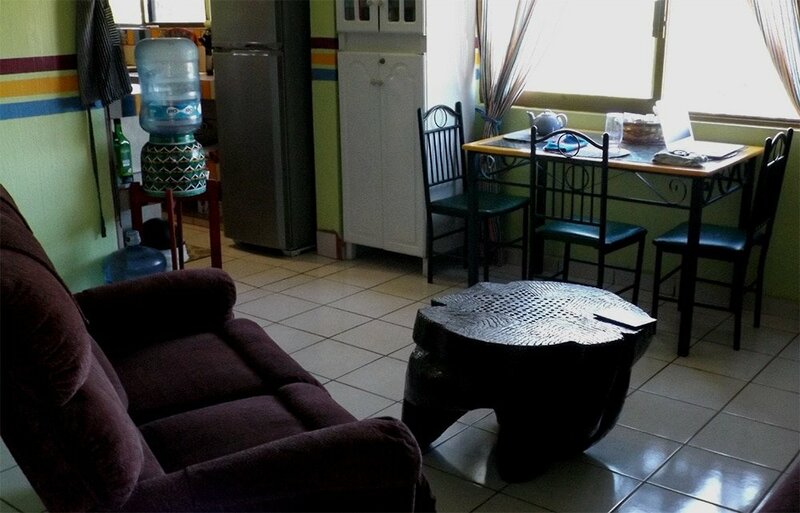 Renting is a great option in Mexico when we can find a home that meets our gringo requirements. We like a comfy bed, a workable kitchen, windows with screens, and a reasonable walk to town. Reliable Internet is a must. La Peñita ticked all the boxes and, with groceries being so affordable, we could even afford to eat out once in a while. We happily settled into dreaming and learning about our next sunny winter home. But we are experienced enough to know that there would still be many surprises! 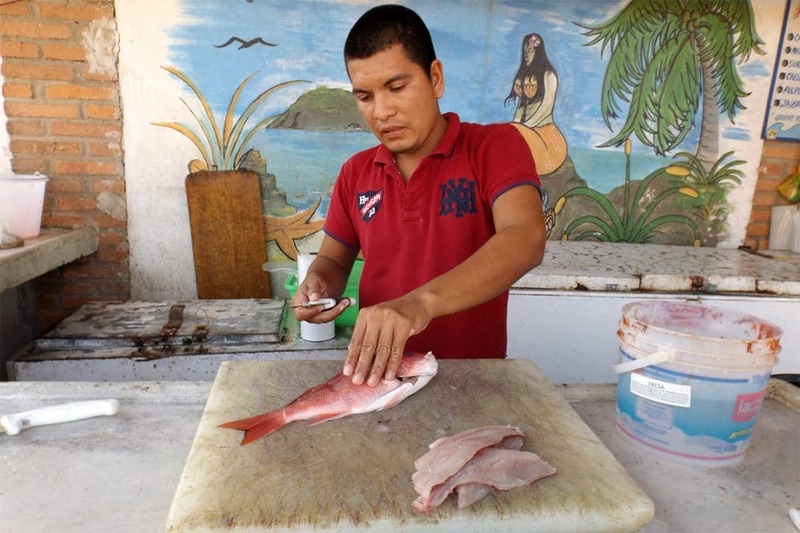 In Mexico, even buying fish for dinner can be an adventure. There’s the finding it, the Spanish words, and rushing it home in the heat before it spoils. When we stayed in Playa del Carmen on the Riviera Maya, we found a great fish monger in the downtown area who sold to the local restaurants. What a fun adventure, learning the names of exotic fishes and communicating in Spanish about what was available. The fish market was a short bus ride from where we were staying and was only open in the morning. To keep it fresh, once we purchased our fish we had to immediately head back home in a taxi. The timing and transportation issues made for fewer fish dinners than we would have liked. But the fish was excellent and very affordable. We especially enjoyed the pargo (snapper) and merot (grouper)- yum! When we dined out in Playa, we were able to eat a nice lunch for two, on the menu of the day, for about 200 pesos at a few select locations. Otherwise, a meal out ran us about 300 pesos or more. We did indulge in street food for much less, but lots of tortillas were involved and not so many veggies! 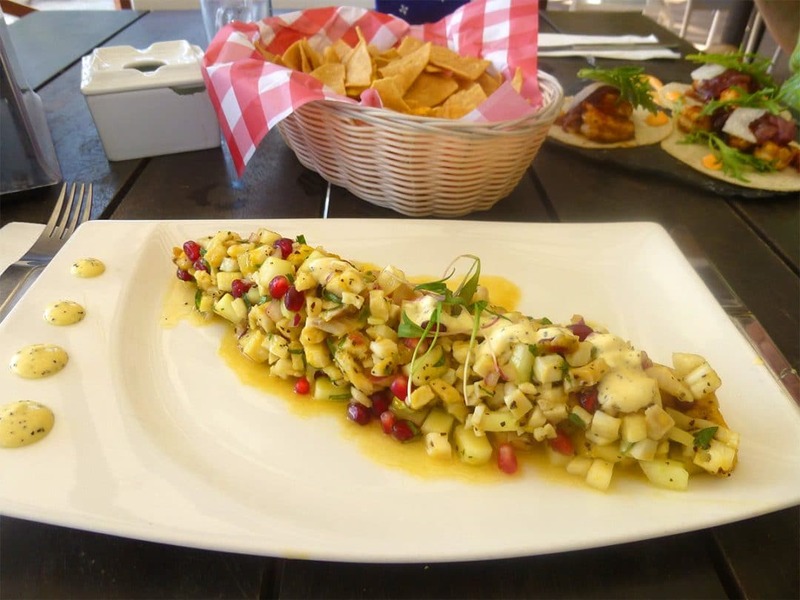 We had yummy ceviche in many styles in Playa. On a special day we ate at the Blue Parrot by the beach and Neil had ceviche with papaya in it. Fresh ceviche is something we are always thrilled to find. When we booked our four plus month stay in La Peñita on the Riviera Nayarit, we were expecting to be able to find more delicious and reasonably priced fish to eat, and in some ways our dreams came true. Seafood is indeed fresh and available from the fishermen on the malecón early in the morning as well as from several pescaderías downtown. Shrimp can be fresh or frozen and comes in need of shelling, as it did on the other coast. At the fish market, we bought a half kilo of shrimp and a kilo of fish fillets (flounder) for 240 pesos. In La Peñita however, the variety of fish was less than we expected, on any given day. What they do have is cleaned, filleted and cut up fresh before our eyes, scales flying and pelicans hovering nearby. Fishermen will not only clean and filet the fresh fish, they will also grind it up if you like. We learned that the Nayarit style of ceviche is made with ground fish, or at least chopped finer than we are used to in the Riviera Maya or in the U.S. In restaurants, we ate shrimp ceviche that was actually marinated raw shrimp, something we have rarely encountered (the shrimp is more often cooked first), though of course fish ceviche is raw, marinated fish. In La Peñita, Laurie ordered a seafood cocktail and was surprised that it was served piping hot. In Playa del Carmen and the baja area of Mexico, it has always been served cold. When she expressed her surprise, the waitress indicated that she could change it for her, but Laurie thought that she would try the hot version—and decided she would not have it that way again. Also different are the fajitas. Nayarit style fajitas were served to us in a gigantic “lava bowl” as a stew of peppers, onions, shrimp and pineapple, topped with melting cheese—very different from our experience of fajitas in the U.S. And it was served with flour, not corn, tortillas—though they happily brought the corn ones. 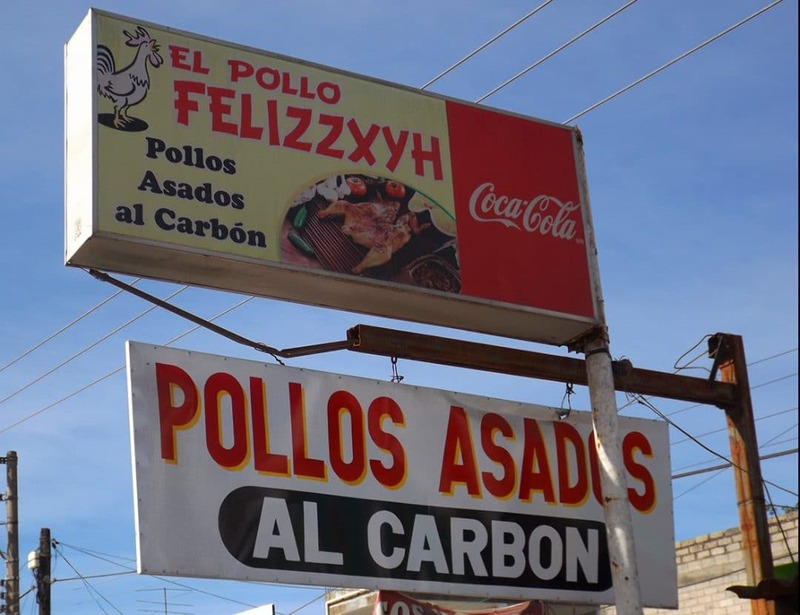 As paleo eaters these days, we struggle with dining out in Mexico. 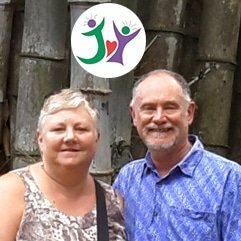 This has been a big change for us and was not part of our lifestyle in Playa del Carmen where we ate beans, tortillas and some cheese—not to mention sugar in our coffee and chocolate chip cookies baked in our tiny toaster oven. In La Peñita, we have compromised our diet some, eating the corn tortillas now and then, but no flour! We have also started eating some rice. Fortunately, cheese is not actually a huge part of the diet in Mexico, but in restaurants, we still need to remember to check to see if it is part of a dish and ask for “sin queso”. 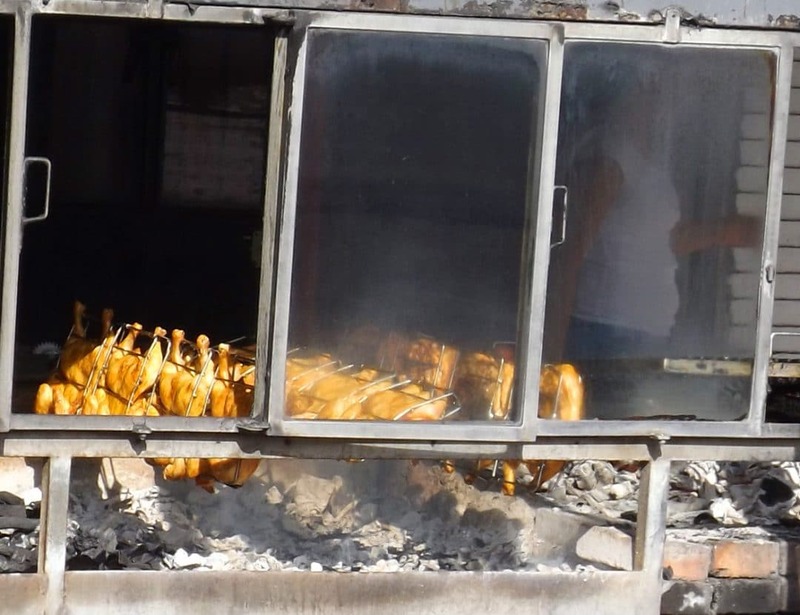 One of our main sources of meat in La Peñita is the barbecued chicken restaurant right down the road from us. They fire up the coals early and sell out long before dinner time. We purchased a whole chicken to go, which they cut up and wrap for us, for 100 pesos. For a few pesos more it comes with whole roasted potatoes. Carried out and served with our own sides, it makes a tasty lunch with lots of leftovers. The smiling owner asked us if we wanted a phone number for delivery, but we assured her the walk would do us good. We left beaming with pride over our Spanish conversation with another friendly local. 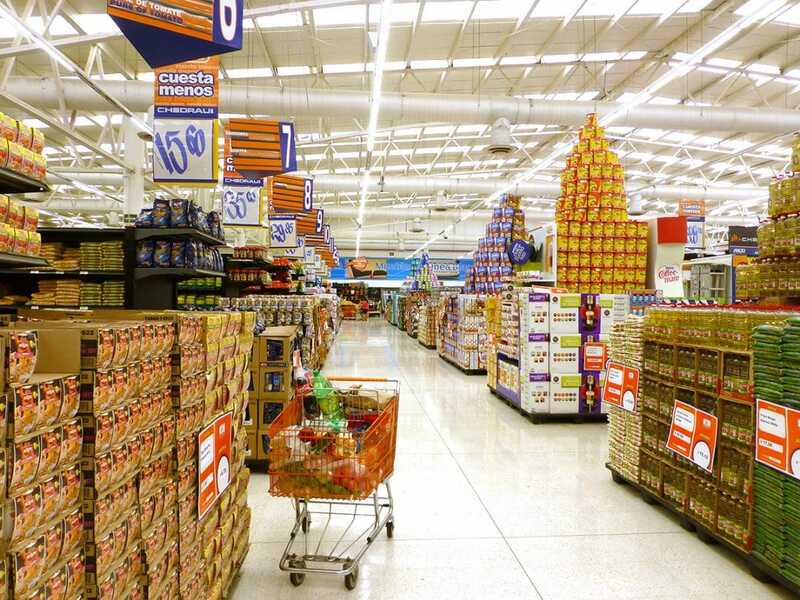 Buying groceries in La Peñita is very different from our experience in Playa del Carmen! There we had several big grocery stores to choose from. We shopped for the week and grabbed a taxi from the long line of waiting cars outside the store. The Mega and Chedraui markets were huge, one stop shopping locations. They even sold furniture and motorcycles! These stores were somewhat impersonal, though Laurie still managed to bravely approach local women in the produce aisle, about how to prepare jamaica and nopalitos! In La Peñita, we bought our eggs and a few groceries from Diana and Edgar, who have a little tienda (shop) a few blocks away from our seasonal home. For a bigger shopping we walked about fifteen minutes to a frutería and then across the road to a carnicería (butcher shop). These are also small, though bigger than the corner tiendas. We have noticed that prices in the little tiendas in La Peñita are quite a bit less than in the much larger markets in Playa del Carmen and the produce is fresher. We were surprised to learn that some items were available, but not displayed. We learned to ask at the dairy or deli counter, once we could figured out how to say what we wanted in Spanish! 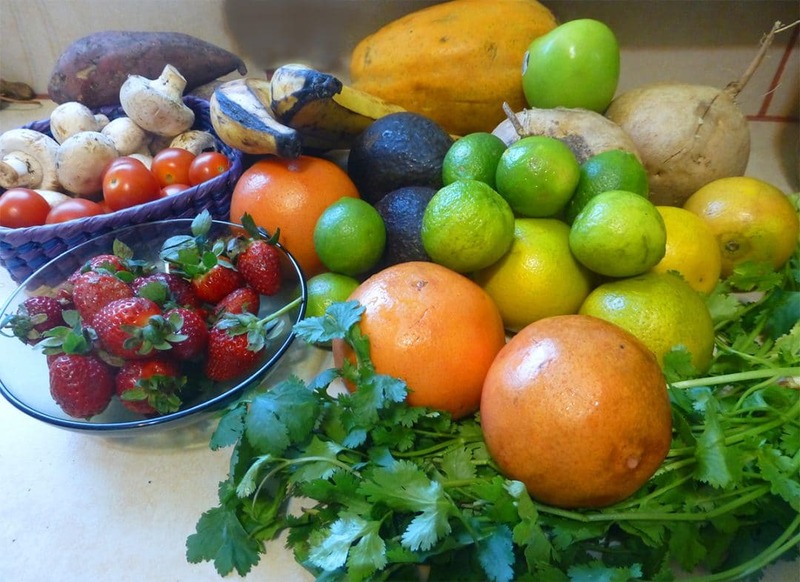 A large pineapple, a few grapefruit, bananas, plantains, sweet potatoes, white potatoes, cabbage, carrots, onions, cucumbers, limes, jicama, avocados, tomatoes, cilantro, celery, a box of pineapple juice, a bag of dates and a crown of broccoli. Plus dish soap, plastic wrap, avocado oil, cider vinegar and some sugar for brewing kombucha, a few spices and a bag of rice. We exited with Neil loaded up with his mini backpack and our travel shopping bags in each hand, leaving Laurie hands free to wave down a taxi. At the butcher we got chicken breasts (no whole chickens from our guy), pork leg, ground beef, and bacon or chorizo. He also sold lamb. We were able to purchase a whole chicken and some chicken livers as well as some pork and beef from another butcher further out of town. Half the fun of the butcher shop was learning the names of the cuts and stumbling through requests for thin or thick, ground, boneless and other unfamiliar terms. Sin hueso means “ no bones” but is also what it says on pitted olives—we learned more Spanish each day! There are so many little beach towns in Mexico, both on the Riviera Maya and the Riviera Nayarit. Nayarit is considered to be still “undiscovered” although you wouldn’t think so if you visit Sayulita which is full of tourists! Both coasts have their own sort of flavor, Nayarit being much less focused on the traveler, yet only a short one hour drive north from bustling Puerto Vallarta. On the Riviera Nayarit you can still find loads of folks who don’t speak English and taxi drivers are consistently honest and friendly. In the Riviera Maya area on the other hand, there are many more tourists and more traffic. There are more people working in service jobs in big hotels there—they crowd the buses on their way to and from work. There is also more available in terms of shopping and dining options. That comes at a price though, both in money and loss of authenticity. La Peñita has its gringos, and gringo hangouts, but it is still more Mexican than a tourist mecca. Though it may be a matter of time…visit while you can to still enjoy the low key local vibe! We think it is worth giving up some luxuries to enjoy this lovely country in a more authentic way. ← Is Playa del Carmen, Mexico Good for Budget Travelers?